Found in Asia, the magnificent Marco Polo Sheep live on the plateau of Pamir, the roof of the world, three miles above sea level. 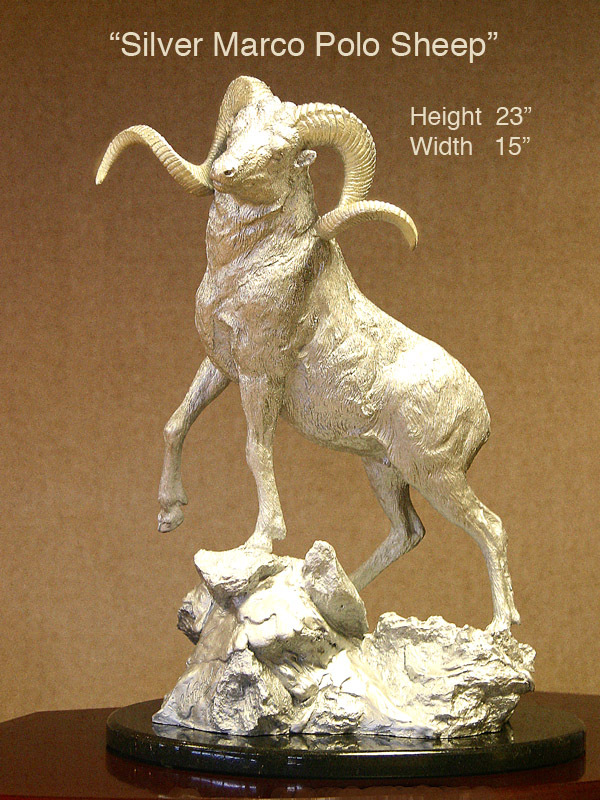 First described by the explorer Marco Polo, it is a little smaller than the argali, but remarkable for the wide spread of its horns. 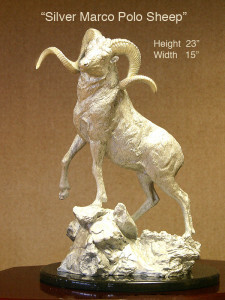 Doug has depicted this beautiful animal in silver with 22 karat gold plated horns.